Locke and KEY Recruiting, Consulting and Hiring Services was founded in 2001 as a unique, flexible, value-based alternative to traditional retained and contingency firms. In addition to earlier industry work outside of search, Lisa Locke, the President and Founder, has recruiting experience at a San Francisco boutique retained executive search firm, at an incubator/private equity firm, recruiting for the portfolio companies, and at the large executive search firm, Korn Ferry International. She also hired internally for a sales and marketing department of a large wholesale distribution company. Locke and KEY is a flexible and unique recruiting, hiring and consulting firm, focused on recruiting KEY employees for your organization. We help you with the entire recruiting and hiring process, one step at a time. We provide VALUE by unbundling our services, and we offer you a "MENU" to choose from; you choose just what you need, and we do the rest. We differentiate ourselves by offering VALUE. We offer full service recruiting, on the level of a retained firm, but we work on an hourly basis, so that you may control the costs of recruiting and hiring, pay as you go, change direction any time that you like, and only use Locke and KEY for the parts of the search process that you need. We have something to offer any type of company or organization... from high tech to food and beverage companies, from nonprofits to professional service firms. Our services are flexible, and simply help you where you need it most. We help you fill positions for all levels and functions... from CEO to Administrative Assistant, from Operations Manager to Programmer. We customize our services for each client and each position. We are dedicated to providing exceptional quality, flexibility, and value, while developing a mutually satisfying relationship with you. Consider us your trusted recruiting advisor. We recruit the most qualified candidates who will make a KEY difference and KEY contributions in our clients' growing organizations. 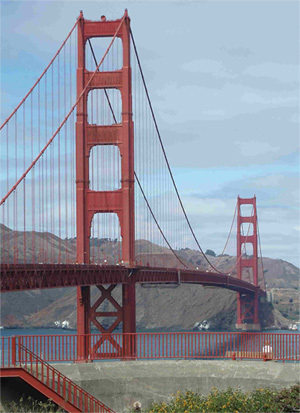 Headquartered in the San Francisco Bay Area, we work with clients from across the United States and around the world. Help you to define your requirements for the positions. Strategize, research and scour the market for candidates. Thoroughly evaluate, interview and reference the candidates to insure the right fit. Advise and counsel objectively and with integrity. Follow up with you and your new hire to ensure a smooth transition.